Mizuho Athletic Stadium or fully put Nagoya City Mizuho Athletic Stadium is multi-purpose sports Arena located in Nagoya, Japan – the third largest city in the country. 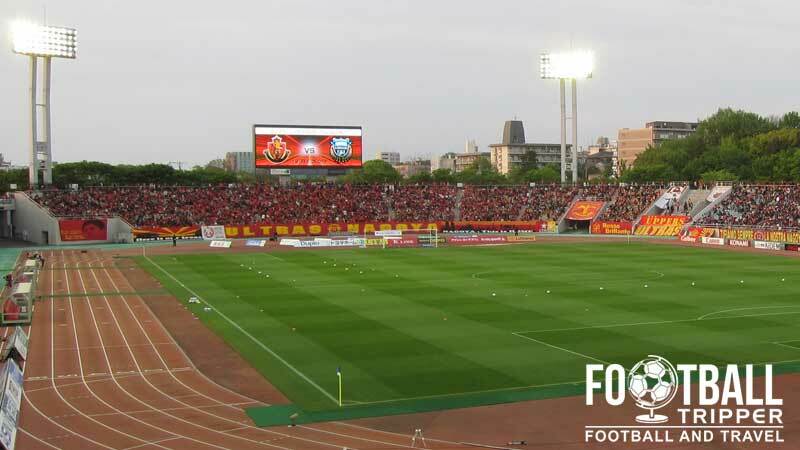 Even with the Athletics Track, it is still mainly used for Football with J.League side Nagoya Grampus using it as their occasional home stadium. The Athletics Stadium first opened in 1941 however it underwent large sale renovations in 1982 and 1994 in order to give it its current appearance. Multi-purpose by design and municipally owned, it is situated within a wider sports complex sometimes known as Nagoya Mizuho Park which contains several other sporting facilities. The ground has hosted numerous athletics competitions since opening such as the 1983 National High School Sports Festival, and more recently the Nagoya International Women’s Marathon in 2010. 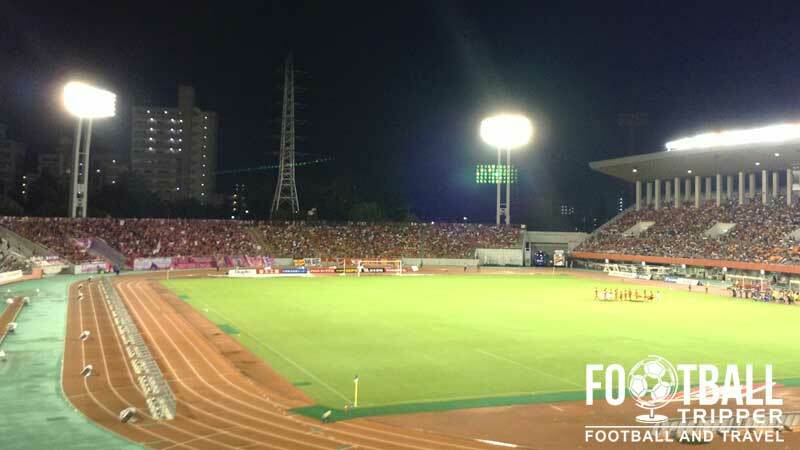 There was a strong possibility that Nagoya City stadium could host matches of the 2002 World Cup, but it was dropped in favour of Tokyo Stadium due to concerns about health and safety. Home to Nagoya Grampus, the club’s most famous spell arguably came in the early 1990s when they signed Gary Lineker from Tottenham in 1992 and secured Arsene Wenger as manager in 1995. The Frenchman who had previously managed at AS Monaco led Grampus to two domestic trophies and a second place finish in the J-League before moving to Arsenal. 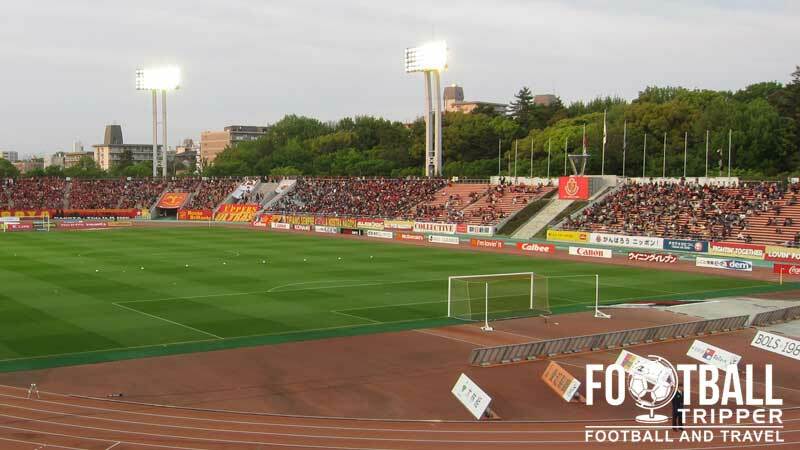 The highest level of football played at Mizuho Athletrics Stadium is undoubtedly the AFC Champions League. After winning the J.League Championship in 2010, the club qualified for the tournament the following season where they played the likes of FC Seoul, Hangzhou Greentown and Suwon Bluewings. From 1st April 2015, the stadium officially became known as Paloma Mizuho Stadium after the Japanese company acquired the naming rights. 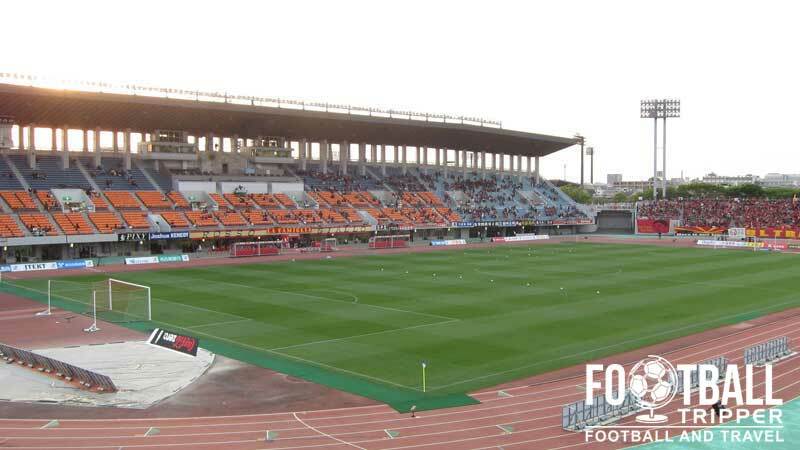 Mizuho Stadium consists of the following four stands: North, East, South and West.